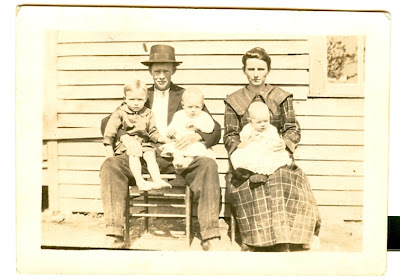 William Wansley Taylor, son of Alonzo Grant Taylor and his first wife Emma Elliott, was born on September 30, 1892 in Winston County. He was the first born to Alonzo and Emma. Following his birth were Henry and Mary Sephronia. Henry, born on May, 24, 1894, died before he was a year old. Mary Sephronia was born on December 12, 1895. William, known to most as "Willie," and Mary grew up in Winston County. The Taylor home was very near the present location of Liberty Grove Baptist. 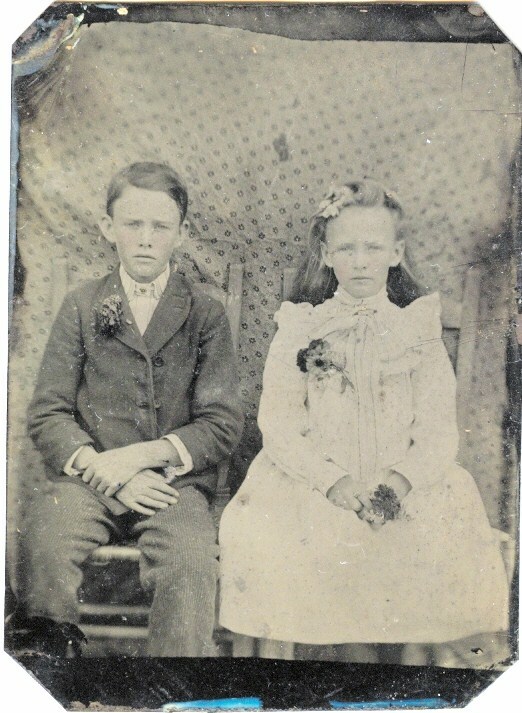 Their mother died when Willie was 5 years old and Mary Sephronia was 2. Emma is buried at Liberty Grove Baptist Cemetery. About 3 months after Emma's death, Willie's father married Margaret Derusha Stevens, daughter of John Benjamin and Lucinda (Brown) Stevens. 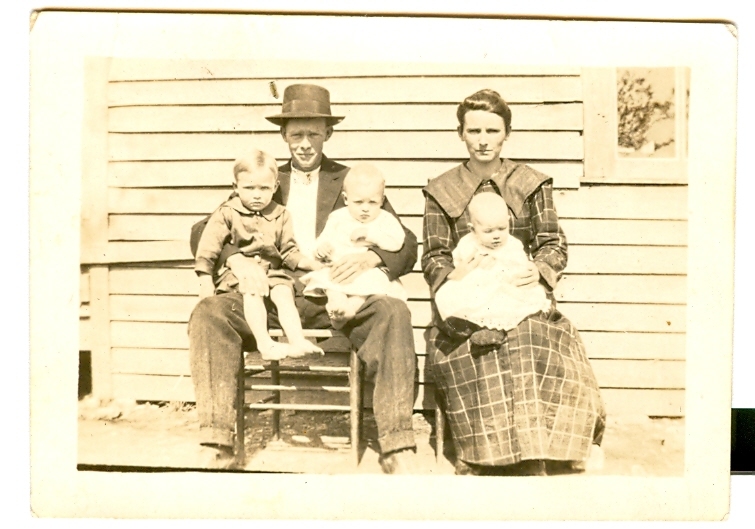 The family continued to grow, with the birth of seven more brothers and sisters for Willie and Mary. When Willie was 21 years old, he married his bride--Bertha Caledonia Comer, daughter of Daniel Patrick and Ollie F. (Ezell) Comer. The wedding was performed on January 11, 1914 in Lawrence County, Tennessee by Willie's great uncle, James Knox Polk Taylor, Minister of the Gospel. The signature of B. F. Curtis (Benjamin Franklin) appears on the wedding record also. Curtis was the son of Mary Jane Curtis, daughter of Mary Mollie Taylor. Willie and Bertha were the parents of 10 children: Mitchell Edward, Carlos Cleo, Lester Alonzo, Ruby Estelle, Selma Virgie, Lola Mae, Verda Dee, Mary Fleda, William Gene and Betty Jean. The family lived in the Liberty Grove community, four miles south of Loretto, Lawrence County, Tennessee. Willie died on July 17, 1961. He and his wife, Bertha, are buried at Restview Cemetery, Loretto. 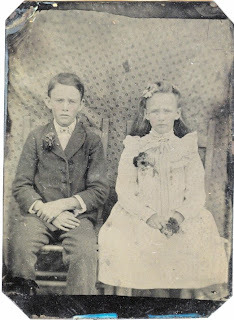 At the age of 16, Mary Sephronia Taylor, Willie's sister, married Harvey Berry on September 19, 1912. The wedding took place at the home of W. T. King. 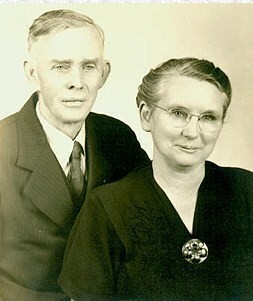 The couple had seven children: Alta, Ronnell, Russell, Ozie, Alpha Omega, Helen and Eula Mae. Sometime during the 1920's, Harvey left the family and was not located until the children were grown. Mary worked hard to provide for her children. On the 1930 census, Mary is listed as divorced from Harvey. Her occupation was general farmer. She and her six children were living in the household. 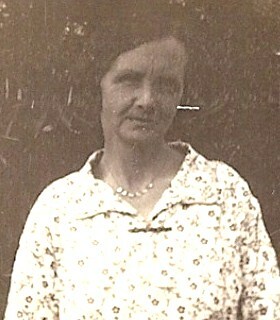 James F. Tittle, widowed, was living next door to their home. Before the 1940 federal census, Mary married Mr. Tittle. Mary died on July 17, 1966 in Winston County. Inscribed on her tombstone is "Mother's love will show us the way," a loving tribute to their mother. Mary Sephronia and J. F. Tittle are both buried at Macedonia Cemetery, Winston.